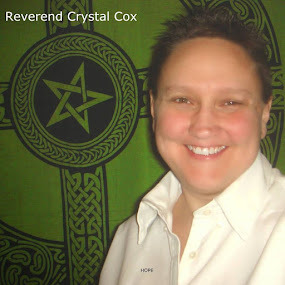 Reverend Crystal Cox, New Earth Ministry; Professional Psychic: There are far more realities than the “old earth” and the “new earth”. There are far more realities than the “old earth” and the “new earth”. "To many the bifurcation of earth may be a new concept. Within the new age community this is one of the new buzz words of the moment. For several years there’s been a lot of talk about a new earth. Some feel that humanity is ascending to new earth as a group, leaving no one behind. There are others who feel that we are in the midst of a bifurcation of earth with two different groups of humanity formulating. One attempting to maintain the old earth. The other choosing a new earth. 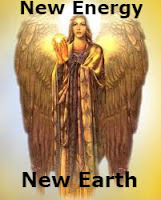 At first creating a new earth and allowing those on the old earth to continue as they are sounded exciting to me. I was ready to move forward while allowing others to live as they choose and awaken at their own rate. I was never a fan of evangelizing a new earth to shepherd everyone into one golden moment of ascension. But something’s been niggling in the back of my mind and this whole idea of bifurcation began feeling “off” to me. As is my usual practice, I tossed a few questions into my cauldron of wisdom and allowed it to bubble until clarity ensued. I was packing a small box of crystals and stones, which I considered to be wisdom keepers, for my sister. When she saw what I was doing she shook her head and said, “I don’t want those.” I realized my sister doesn’t have any interest in what I have to offer so I returned the box to its resting place and replied, “Okay that’s fine.” This confirmed that my sister and I are living in very different realities. I do not resonate with her reality, nor she with mine and that’s perfectly okay. Then I was packing a second box of crystals and stones for my daughter. She also shook her head and said, “I don’t want those.” This was another validation of living in different realities. As with my sister, I felt at ease about it. I harbored no judgment, nor any hopes of my daughter and I ever working together spiritually as I had once desired. I recalled having realized this about our relationship a few years ago which made me sad at the time. Now I have no emotional reaction about it at all. I fully bless her soul path as she’s living it and I bless mine. Each of us simply living our reality of choice. Neither one better than another, simply different choices. Upon awakening in the morning I realized this answered my question about the bifurcation of the earth. Bifurcation: is defined as: the division of something into two branches or parts: the bifurcation of the profession into social do-gooders and self-serving iconoclasts. What I realized is that bifurcation is simply another form of polarity. 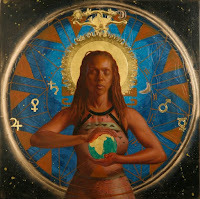 The reason this new earth/old earth model doesn’t resonate with me is that I have gone beyond the concept of duality. There is no either/or for me. Neither my sister nor my daughter are living the same reality as I am. And they are not living in the same reality with each other. Therein lies the question…. who goes to which earth? It looks to me like between the 3 of us there are 3 different realities, 3 different earths. None more right or wrong than the other. It’s simply a matter of choice. Those of us who are aware of new earth are no longer living in duality, which is one of the constructs of the old earth. By breaking free of the old earth matrix, we are breaking free of duality. We are entering the time of the many, not the time of oneness where everyone is required to agree to the same reality. Nor a separation of those who are considered awake vs those who are not. For who defines or determines who is awake and who is not, for there are many degrees of awakeness. I feel that the original idea of the bifurcation of earth was a stepping stone away from the confines of an old earth that has been cycling and recycling for eons of time. 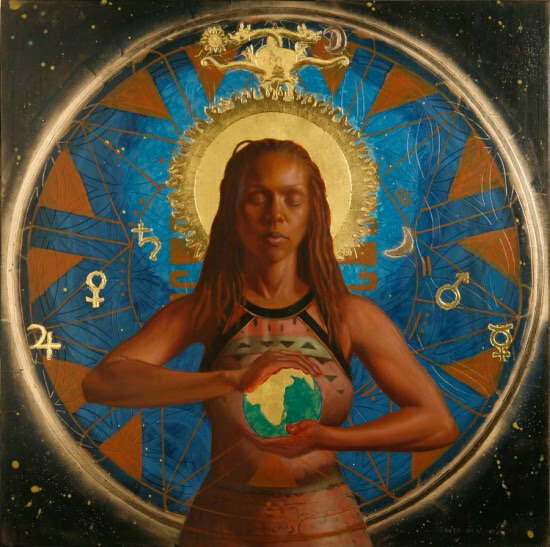 The old earth/new earth model initiated “Releasing the old Collective Consciousness” as mentioned in my prior blog, and inspired new potentials for all of us. There are far more realities than the “old earth” and the “new earth”. Our evolution is happening so fast that as soon as we all agree on a new concept, there are multiple new potentials already presenting themselves. Attempting to fit everyone into a prescribed new earth reality very quickly becomes nothing more than an expanded old earth. Thus, I feel we have already evolved beyond the limitations of the bifurcation of the old earth or the new earth. We each create our own reality. And each reality may change from one day to the next, from one moment to the next. Humanity has the opportunity to create as many new earths as there are conscious creators. As humanity is awakening, we’re moving beyond the old collective consciousness, each person doing so in their own way with their own divine timing. I recognize that not everyone is ready for a huge leap and we each have a role to play. Thus I honor each person’s choice, including my own soul’s passion and desire to expand beyond this current reality. No longer held back by the belief that we are all One, with one agenda, and one new earth. Rather than attempting to restrain everyone into only one, we are the many, constantly expanding our consciousness. We each have the freedom to evolve and live in whatever way we choose. As we do so, old timelines are collapsing and consciousness is reforming accordingly for each of us. We are all Master Creators! As Sovereign beings, we each have the ability to create our own reality according to our soul’s desires, free of all limitations. Do not allow your self to be influenced by the perception of others based on a yearning to be part of the group. Create your own new earth. Breath your divine consciousness into it. And watch as those of us who resonate with each other naturally find each other’s playgrounds, living in harmony with each other rather than attempting to fit into someone else’s reality. And thus, we have the opportunity to live All That Is.